Show your Blythes/Pullips/Dals a little love with a swap centered around them! This swap consists of six points crafted. (one large, one medium, one small or two larges or three mediums or six smalls...or whatever other combination you think of! 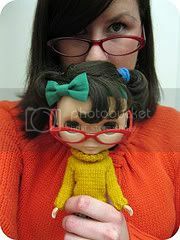 ), I will do my best to partner people with like dolls (Blythe with Blythe, Pullip with Pullip, etc). Craft ideas: dresses, pants, shirts, sweaters, jackets, skirts, hats, headbands and hair clips, doll sized quilt, furniture, playscale minis (polymer clay, etc). There is no set theme for this swap...have fun and get creative! Do you have any allergies (pets, smoke, etc.)? Any allergens in your home (pets, smoke, etc.)? Names and types of dolls (Blythe and/or Pullip and/or Dal, and/or any Petites) you would like things made for? Are you willing to craft for a type of doll other than your own? What kind of items would you like your doll to receive? Do you have a dollhouse? Would you like things for your girls' houses or rooms? what kind of household items? Any particular theme or themes you would like your partner to craft (summer, vacation, slumber party,etc.)? What is your doll's favorite color(s) or color combo(s)? Do you a have wist? flickr? pinterest? blog? etc? IF YOU WANT TO PARTICIPATE, REMEMBER TO SEND YOUR INFO TO ORGANIZER (imafundork) VIA PRIVATE MESSAGE AND NOT TO REPLY WITH IT HERE. 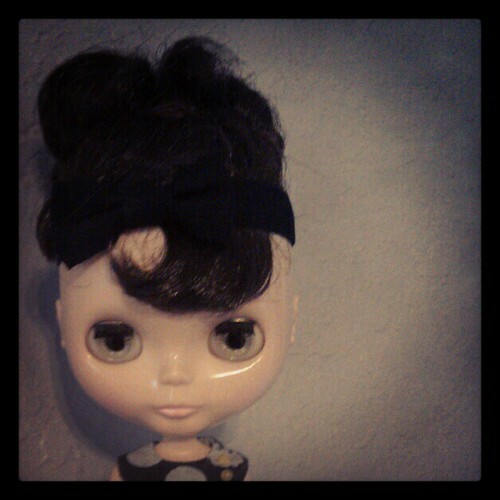 Because I can't resist a Blythe swap.... I signed up today! I've been on a swap break for several months, so I'm ready to start this one up! Woohoo! I received all three of your questionaires and will be working on updating feedback in a little bit. Gonna fill out the form and then I am game!